Skye Gravestones | Chrissie (Ramage) & Charles MacKinnon. Chrissie (Ramage) & Charles MacKinnon. 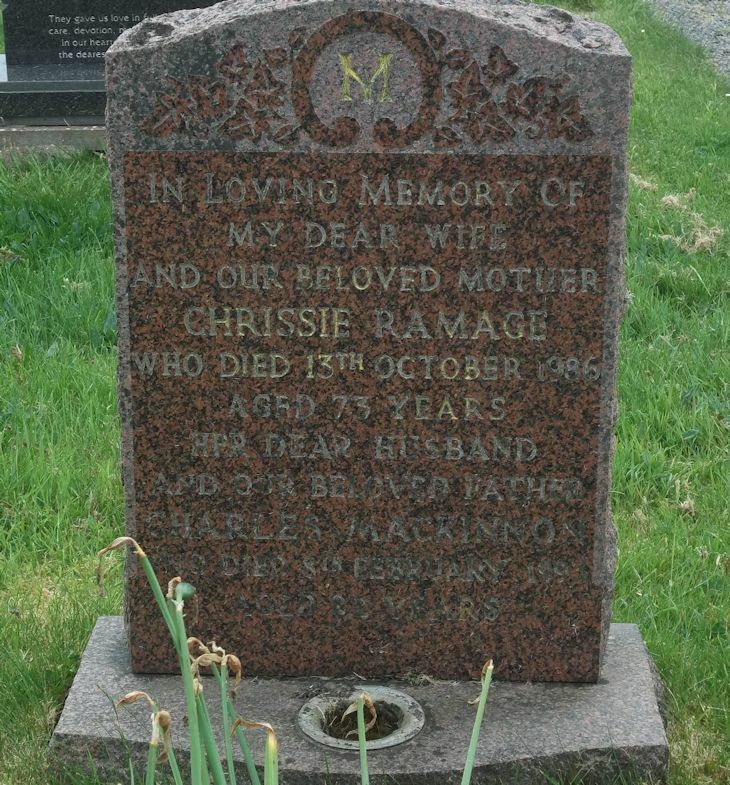 In loving memory of/my dear wife/CHRISSIE RAMAGE/who died 13th October 1986/aged 73 years/her dear husband/and our beloved father/CHARLES MacKINNON/who died 8th February 1993/aged 82 years.